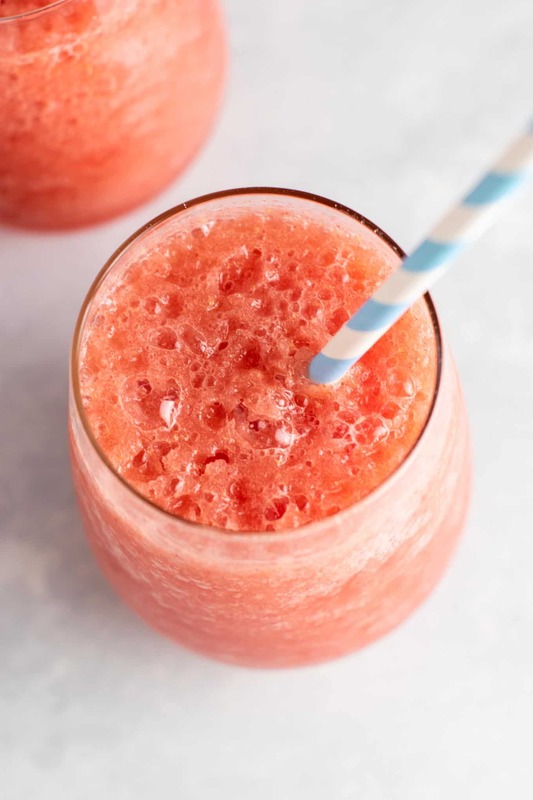 From watermelon alcoholic drink recipes (like this one), to watermelon detox water, I am sipping on all things watermelon this summer. 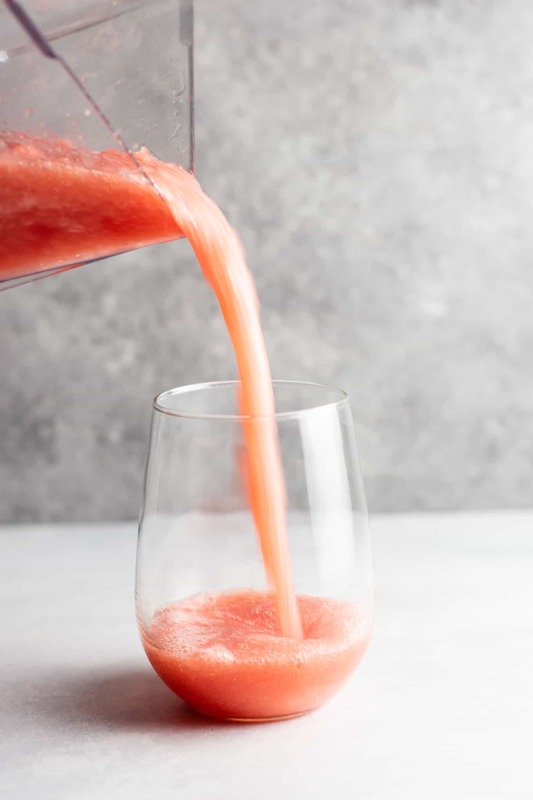 Today’s recipe features moscato wine – which is one of the very first alcoholic drinks that I loved. 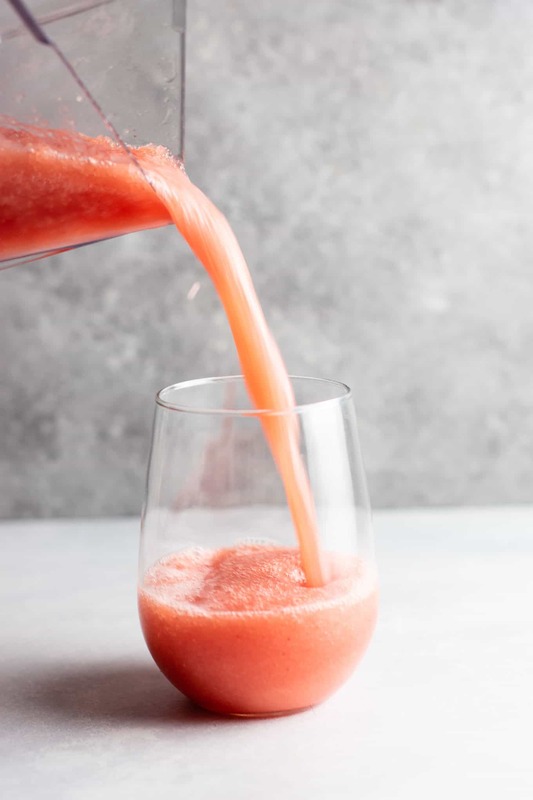 It’s mild and sweet, and pairs perfectly with watermelon for a light and summery drink. 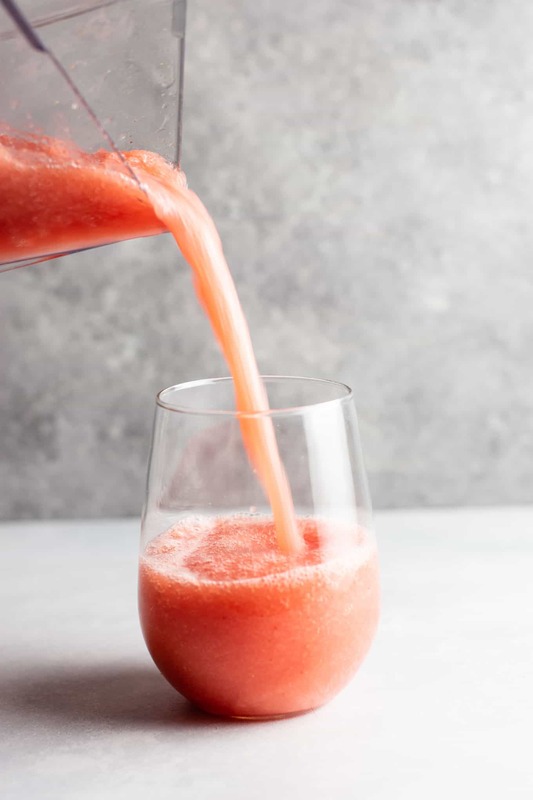 These watermelon white wine slushies serve 2 people perfectly. I downed mine in less than two minutes and probably could have drank another! 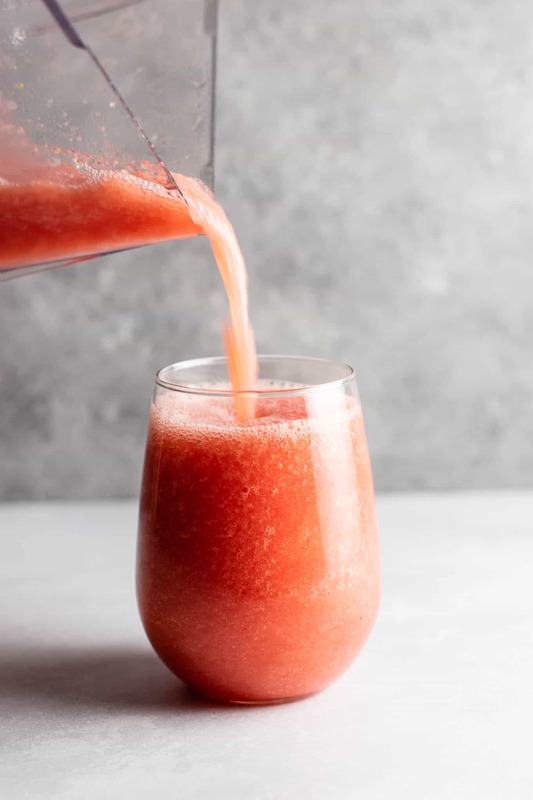 The moscato makes the slushies already fairly sweet, so I did not add much sweetener, only a few tablespoons of pure maple syrup. 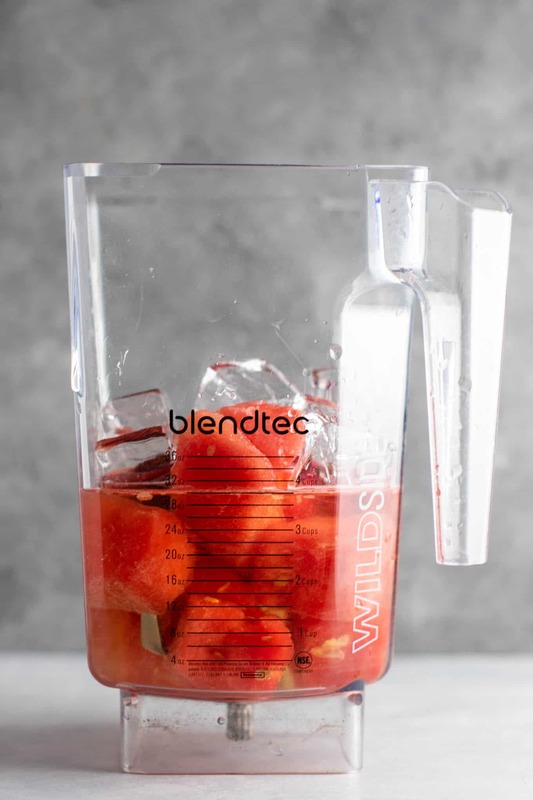 You may find that you like it without sweetener, depending on your brand and sweetness level of the moscato. 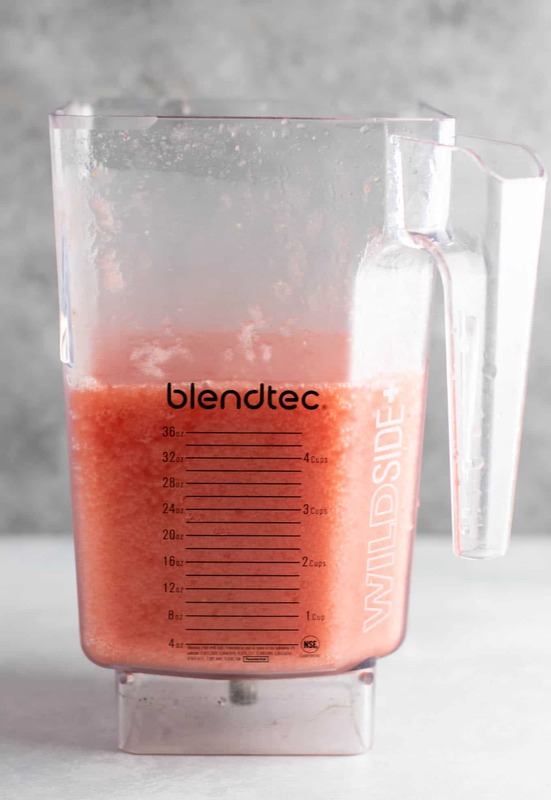 I love making alcoholic slushies, like my tropical watermelon gin slushies. 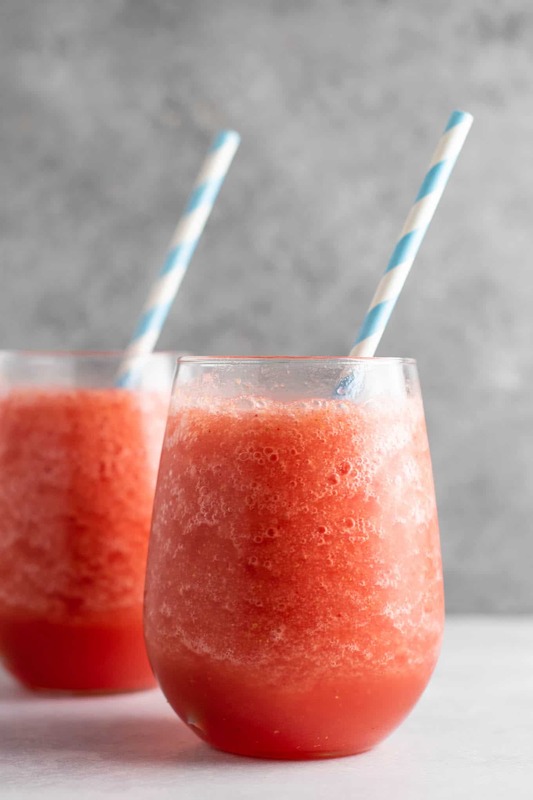 There’s just something so perfect about sipping on an adult slushie on a burning hot summer day. It seems to have gone to summer literally overnight here. It was definitely a rude awakening to go from low 80 degree days to blazing hot mid 90’s and close to 100. 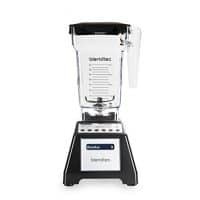 I’ll definitely be making lots of slushies for my husband after work this summer! He is a landscaper and has to spend all day out in the heat. I could never do his job! 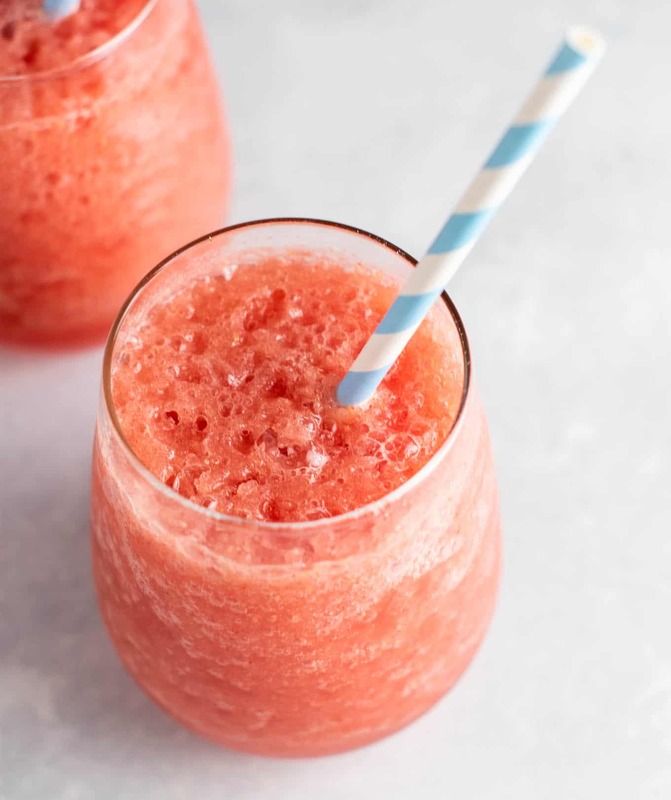 I can’t wait for you to try this recipe! 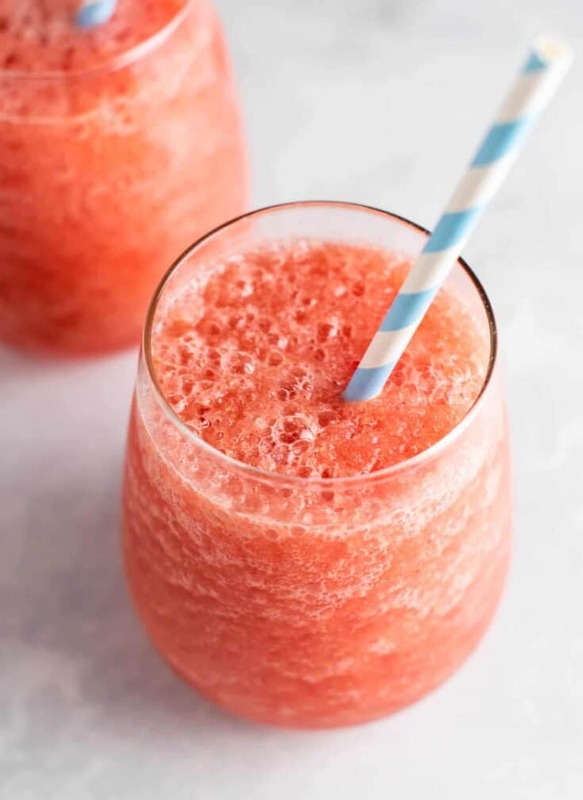 Be sure to leave me a comment below if you make it! 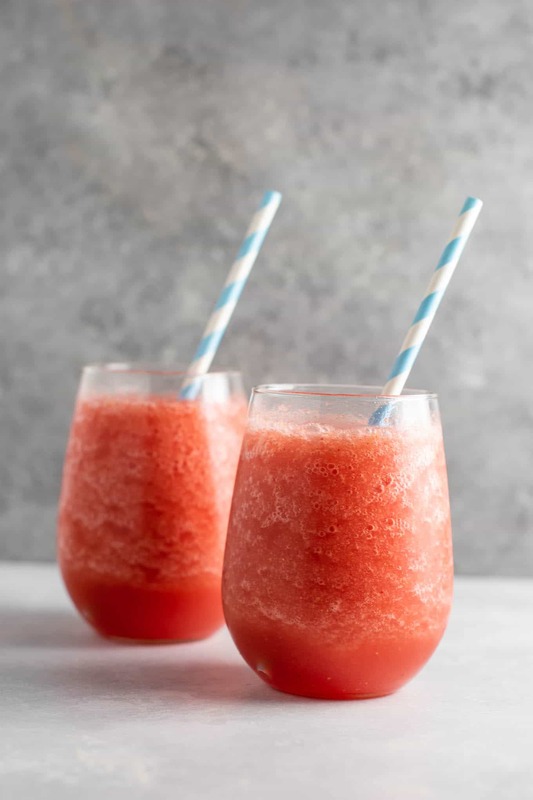 These white wine slushies are a delicious watermelon alcoholic drink to cool off with this summer!